“Pay close attention to every interaction you have with others and try to stay aligned with the brand you want to be known for. Look for opportunities to take on stretch assignments, projects, or even a new role that showcases the brand you want to build. When it comes to reshaping your brand, actions speak louder than words. For example, if your goal is to become known for moving projects forward, volunteer to help out on a project that is behind deadline, and get things back on track“. 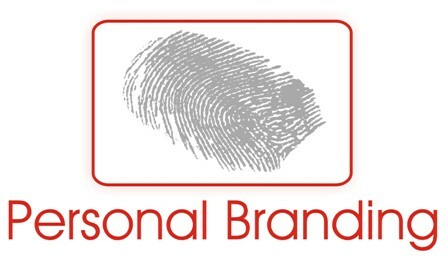 Whether you know it or not, you already have a personal brand. Really—you do! Everyone has a certain reputation (or “brand”) that they’re known for in the workplace, but for most people, that brand has been created by default, rather than by intentional design. The people you work with have built up their own perceptions, opinions, and judgements about who you are, what you’re good at—and possibly even what you’re not good at. They perceive you a certain way. In short, they have “branded” you in their own minds. Have you allowed others to define your reputation? If so, you owe it to yourself to discover how you’re currently perceived and, if necessary, re-brand yourself. At a recent workshop, a quality assurance engineer—we’ll call her Chelsea—at a high-tech manufacturing company approached me during a break for some personal coaching. Chelsea had received feedback from a manager who said that she was perceived by others as a high performer, but was also considered “high maintenance” and, for that reason, wasn’t being considered for certain career opportunities. Upon hearing the feedback, Chelsea was obviously frustrated. She saw herself as the only one on her team who paid attention to details, set high standards, and wasn’t afraid to speak up when she saw a problem that others were inclined to overlook. When she did speak up, Chelsea encountered resistance and defensiveness. It didn’t matter that most of the time, she was right. “It seems to me that you have a passion for excellence,” I remarked. With that, her face lit up. “That’s what I want my brand to be!” she exclaimed. We spoke for a few more minutes and discussed ways she could subtly cultivate a new reputation as the one on her team who was a passionate champion for excellence. The key to re-branding herself would be finding a way for Chelsea to articulate her feedback to the team at the right moment and in the right way, so that it would be perceived as a positive and valuable contribution. She would need to be highly selective in choosing when to offer her critique and change the tone of her comments to be encouraging and supportive. If she succeeded in doing those things, there was a strong likelihood of repositioning herself as the team member who brings out the best in the team. If you’re ready to re-brand yourself, here are three steps I recommended to Chelsea that can help you get started. First, get a baseline of where you currently stand to determine the brand that you’re already known for. Ask trusted managers, mentors, colleagues, or HR representatives to describe how you’re currently perceived by others. Pay close attention to every interaction you have with others and try to stay aligned with the brand you want to be known for. Look for opportunities to take on stretch assignments, projects, or even a new role that showcases the brand you want to build. When it comes to reshaping your brand, actions speak louder than words. For example, if your goal is to become known for moving projects forward, volunteer to help out on a project that is behind deadline, and get things back on track. In Chelsea’s case, I challenged her to closely monitor her interactions with others and avoid saying anything that would be judged as too critical. Instead, she embodied her new brand by acknowledging great work whenever she saw it demonstrated within her team. Then, when you deliver results in those brand-building roles or assignments, make sure to promote those accomplishments so that others know the value you deliver. When Chelsea’s team’s product launched successfully, Chelsea promoted the accomplishment by emailing the team (and CCing management), publicly praising the group for delivering with a high standard of excellence. It can take as little as two months to completely re-brand yourself. It takes a lot of work, but I’ve seen it done successfully. I have seen people overcome poor reputations and go on to build stellar careers by expressing their brand in every interaction they had with others. If they can build great brands, you can, too! Jo Miller is founding editor of Be Leaderly and CEO of Women’s Leadership Coaching, Inc. Jo is the creator of the Women’s Leadership Coaching® system, a roadmap for women who want to break into leadership. She has traveled in Europe, North America, Asia Pacific, and the Middle East to deliver keynotes and workshops, and counts being the only Aussie women’s leadership coach in Iowa among her unique “koalafications.” Read more from Jo atwww.beleaderly.com. ← The ‘great man’ in great Nigeria! Contest and Win a Mobile App Award and Participate at a Congress in Abu Dhabi!